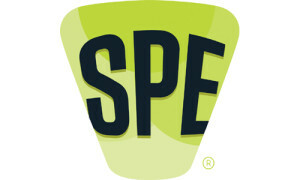 BETHEL, CT, U.S.A., February 11, 2015: The intense need to know more about 3D printing / additive manufacturing that is evident across the plastics industry has led the Society of Plastics Engineers (SPE) to expand the presence of this exciting technology at next month’s SPE ANTEC® Orlando 2015, the Society announced today. Plenary Address at 11:30 a.m. by Heinz Gaub, managing director of technology and engineering for Arburg, Inc.: “Arburg Plastic Freeforming—Additive Manufacturing of Plastic Parts Using Standard Granulates.” This will be an introduction to the two sessions to follow. “Open Doors with 3D Printing,” by Peter Weijmarshausen, Shapeways, Inc.
“Arburg Plastic Freeforming (AKF)—New Industrial Additive Process,” by Dr. O. Kessling, Arburg, Inc.
“High Heat and High Impact Poly(Lactic Acid) Compounds for Additive Manufacturing / 3D Printing,” by Edwin Tam, Teknor Apex Company. “Education Presentation: Clearing the Air about 3D Printing Emissions,” by Dr. Steven Wright, Eastman Chemical. “Large Scale Fused Deposition Modeling with Reinforced Plastics,” by Vlastimil Kunc, Oak Ridge National Laboratory. “Comparison of Flame Retardancy Performance: Injection Molding versus 3D Printing,” by Jazon Zhu, PolyOne Corporation. “Fatigue Performance of Fused Deposition Modeling Style 3D Printing versus Injection Molded Ultem® 9085,” by Jane Spikowski, PolyOne Corporation. 3D printing will also be featured in the co-located NPE2015 exposition, including a special NPE3D™ pavilion with exhibits and demonstrations.